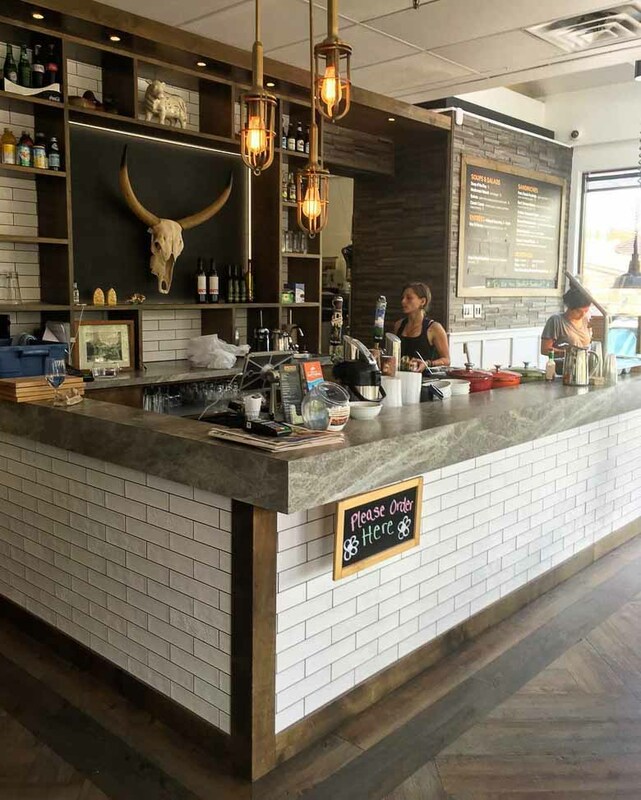 Here’s a quick rundown of the best restaurants in Canmore that we enjoyed with family and friends. On our summer vacation to the Canadian Rockies, we “discovered” Canmore, a welcoming, down-to-earth mountain town just a few miles east of Banff National Park. To be more honest than necessary, we only ended up staying in Canmore because we booked the trip late enough that there wasn’t a lot of availability in the town of Banff. That was a lucky turn of events.After two nights at the schmantzy Rimrock Resort in Banff, we decamped to Canmore. Turns out Banff, for all its beauty, is SUPER touristy, and we found the food options to be pretty meh. Canmore, though, is fabulous. A real mountain town. 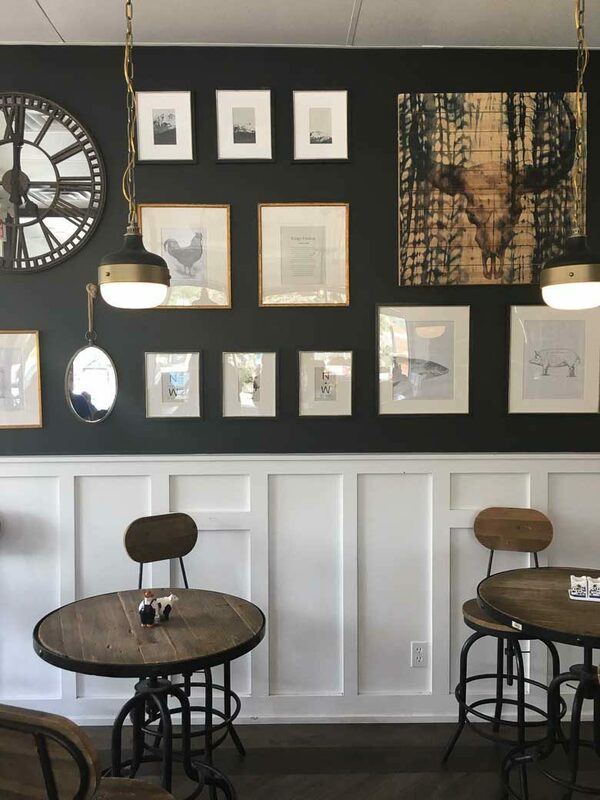 A real town in general, which Banff is…kinda not these days.Here are the best restaurants in Canmore to visit with a family (and, if you’re lucky, with friends from Calgary who come to hike with you and stay for dinner and ice cream). (Pictured above and below.) 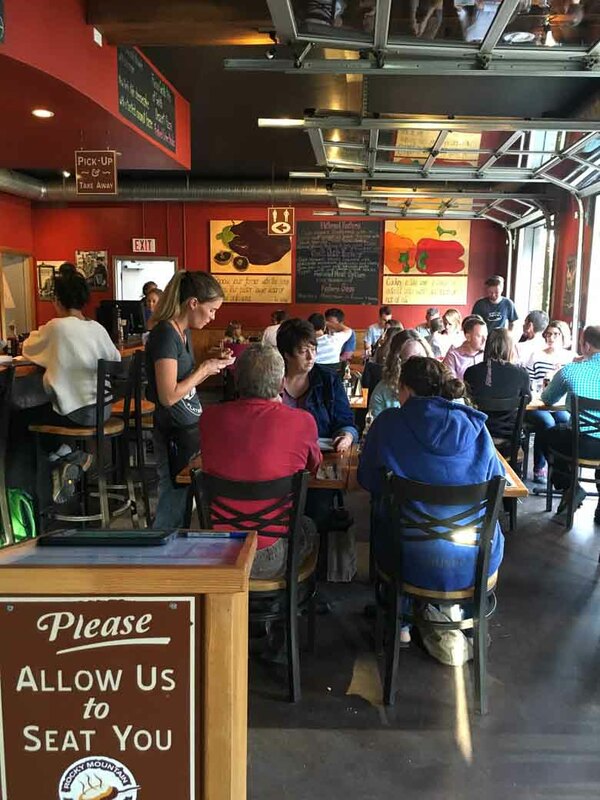 Rocky Mountain Flatbread Co. needs to happen for you, okay? 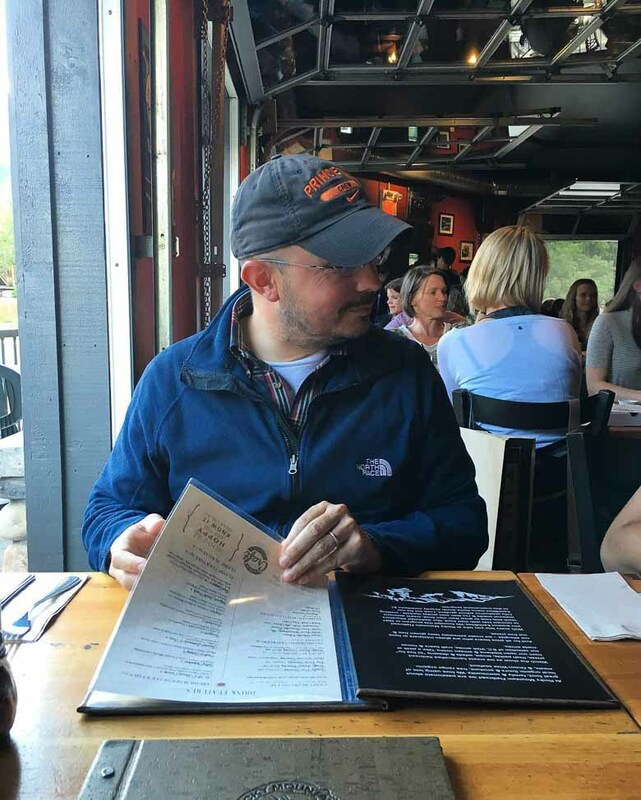 After a day of hiking or skiing, I can’t imagine anything better than sitting down to a lovingly made personal pizza or bowl of pasta and a Big Rock IPA. (Because pasta and beer is a thing? I don’t know. Blame me for that one. )This is one of those places where the back pages of the menu introduce the farms and producers from which ingredients are sourced. Staff is friendly, crowd is reasonably diverse and the vibe is great. That photo above shows Cope ringing in his 42nd birthday at our low-key table for four in this converted garage. If you ask me, it doesn’t get much better than this. Soup, sandwich and décor nirvana is yours at The RANGE. 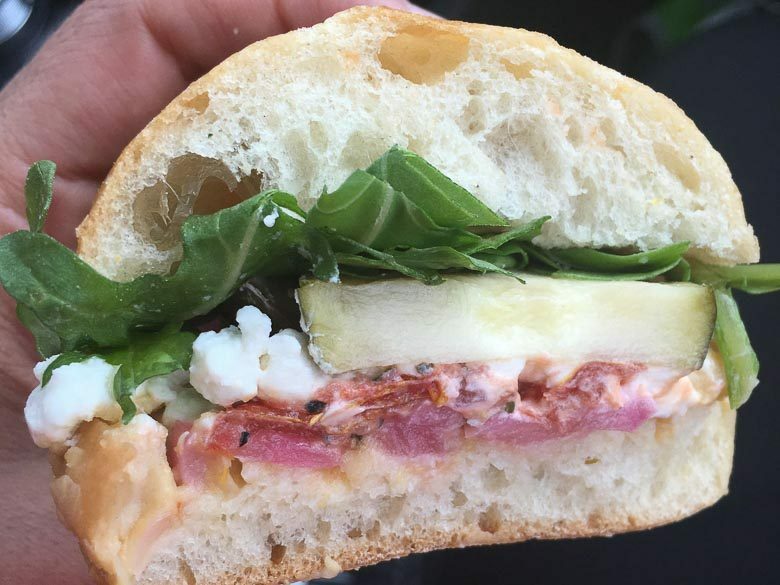 This relatively new shop with just a few tables specializes in sandwiches made from slow-roasted meats. Their soups smelled great, and the roasted vegetable sandwich, pictured below, was delicious and didn’t read one bit like a second thought. We took sandwiches to go for a hike. Things got hella rainy, but we were full and happy. I forgot to get a picture of this place, which is a shame, because they have a great beer garden and a cozy vibe inside. If only there were a way to see it on the internet, right? We ate tacos and mac and cheese, salmon burgers and truffled fries. I enjoyed the Village Maiden ISA. They were crowded but still fit us in at a table for eight with virtually no wait. 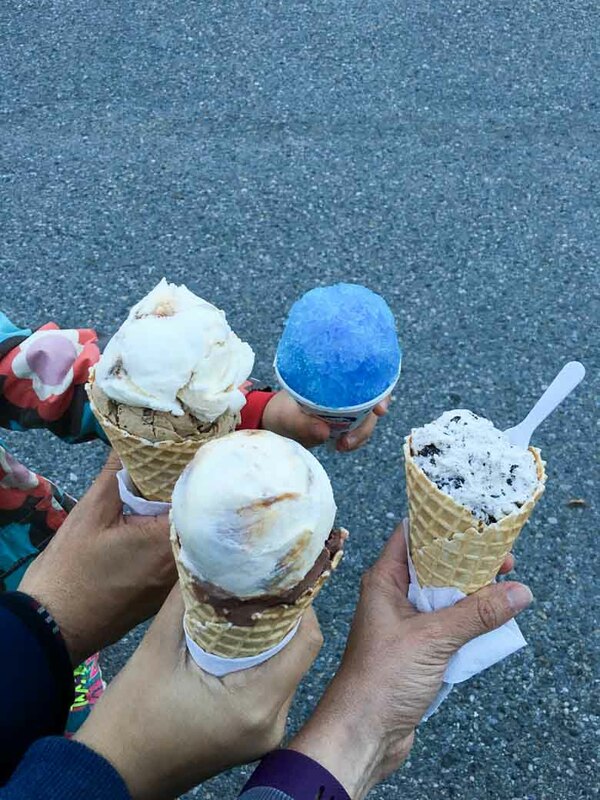 As you probably know by now, it’s not a Cope outing without ice cream. 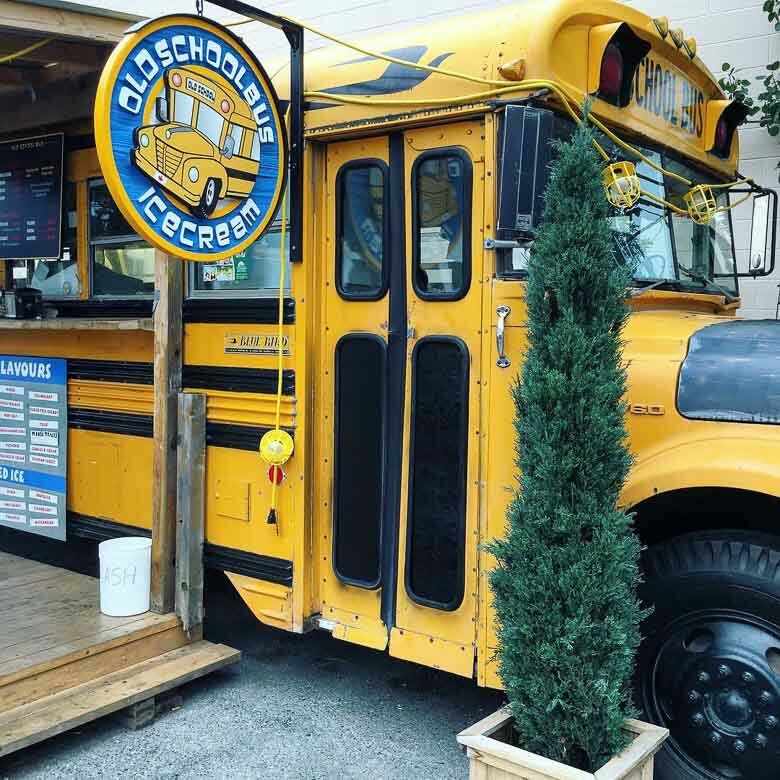 We tried two places in Canmore, and Old School Bus was the hands-down winner for ice cream quality, price, blue tongues and general awesomeness. Right, so we didn’t actually eat at Blake Canmore, which didn’t exist yet when we visited. 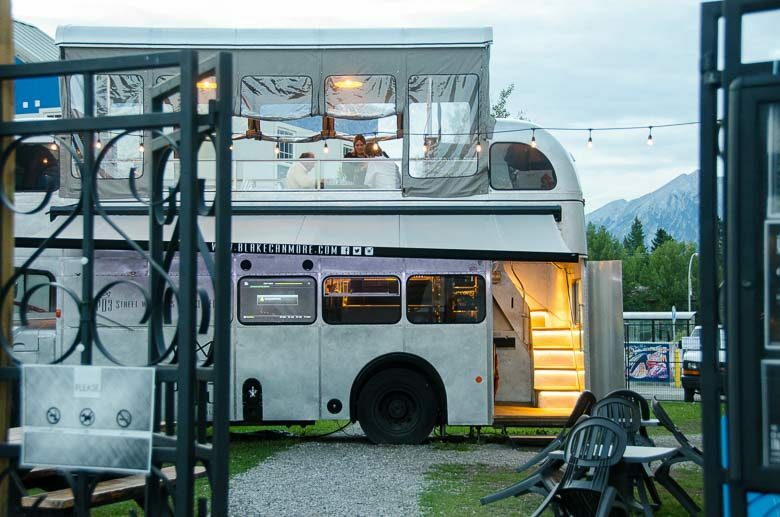 What happened instead was this: we walked past this rad-looking pop-up restaurant built in an old English bus, I noticed they were serving “Umami Fries,” and I put a photo of it on Instagram.Turns out the bus is a seasonal pop-up run by the same folks who now own the full-fledged restaurant Blake Canmore. They’re super-friendly on Instagram, and their food looks fabulous. If we ever go back to Canmore, this spot will definitely be on our list, and I’d suggest you put it on yours too.That’s it! Don’t forget to check out our other Canada posts, which will be multiplying on the regular.